ETFs burst onto the U.S. investing scene in 1993. State Street introduced the S&P SPDR 500 Index (SPY), and suddenly investors had a new asset class that brought trading efficiency along with low costs and broad investment strategies. The SPY ETF now has over $250 billion in assets. While Canada pioneered the ETF concept in 1990, the US really exploited it, and now the U.S. has over $3.5 trillion invested. ETFs started out mimicking indexes (such as the S&P), but quickly evolved into other more sophisticated strategies. Smart Beta, Commodity, Industry specific, Active and directional ETFs all quickly followed. These provided opportunities for investors to take active positions in the same way that they do buying an individual stock. Additionally, ETFs were less expensive than mutual funds, and easier to get into and out of the fund. As ETFs have blossomed, investors have been able to exploit specific ETFs to creatively find better investment opportunities. Below, I have elaborated on my favorite four ways to take advantage of ETFs. 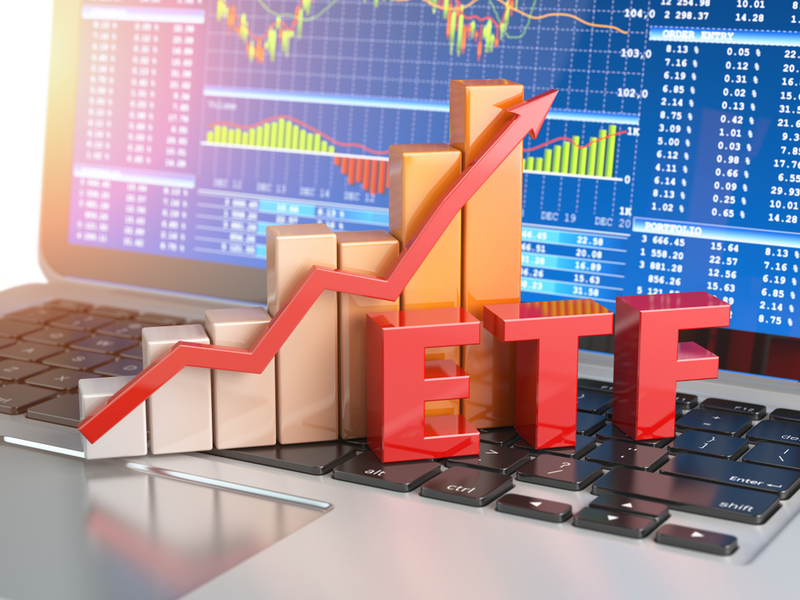 Substitute your Money Market Sweep Account for a Dividend ETF – If you are like me, you have money from trades and dividends swept into a Money Market account that is attached to your brokerage account. In general, this is a holding place for dollars until you find a new investment opportunity. These accounts pay anywhere from 0-2% interest. So if you are going to leave money in this account for a significant time, put it to work in a dividend ETF. While there is market risk, by and large dividend stocks are safer and less volatile than regular stock ETFs. So while you wait for a more permanent ETF, double your yield with the dividend ETF. I know nothing about Biotechs, and would not know where to begin to invest in a particular biotech stock, but I know that this is a promising field that could offer outsized gains. Additionally, I may want a portfolio of these types of stocks so that I can be exposed to these companies that have enormous promise (also with sizeable risk) without really spending time to get to know the world of biotechs. I wrote an article here about my process for selecting the best biotech ETF for your investment goals. ETFs in this case allow me to gain exposure to a broad set of companies in an industry that shows promise. I have a trip scheduled to Europe at the end of this year. When doing the math around how much I will be spending (yes, I am a budgeting dweeb), I realized that with the EURO as cheap as it is right now, my dollars are going to go much further. But what if in nine months, the Euro has gone on a tear, and all of a sudden my trip costs me 25% more? I am not going to be happy. To insulate myself from this currency fluctuation, I can buy futures on the exchange rate OR even easier, I can invest my current budget in a EURO/Dollar ETF. If the euro appreciates, my ETF goes up. I just cash out the ETF for my trip expenses. If it goes down, then, my dollar stretches even further in Europe, and I take my losses on the ETF and realize that this investment protected my trip’s budget. Similar to Biotech, I have a belief that emerging markets are going to make a comeback. Latin America has underperformed developed markets over the past five years. If you bought individual shares of companies, you would have to deal with currency, tax issues, and access to foreign markets. Instead, you can simply survey the list of Emerging Market ETF for Latin America influence. In summary, ETFs come in all shapes and sizes, and offer investors cheap and convenient access into markets and asset classes that were difficult to understand and trade. Investors should expect more innovative ETFs over the next few years. The key is to figure out where you want to invest, and then, most likely, there will be an ETF designed to efficiently get you there. Obviously, just as in any investment, it is important to take a look at past performance, costs, and liquidity. ETFs represent the easiest way to gain exposure to virtually any corner of any asset class. The convenience has unlocked creativity in creating ETFs. I can’t wait to see where this goes!